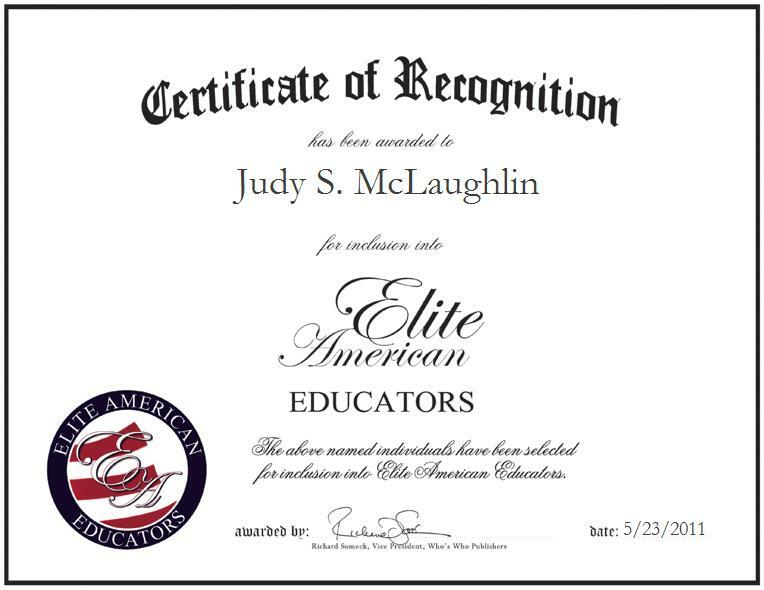 Colorado Springs, CO, May 23, 2011, Judy McLaughlin, Assistant Manager for KinderCare, has been recognized by Elite American Executives for dedication, achievements and leadership in early childhood education. While growing up, Ms. McLaughlin always knew that early childhood education was her professional calling. She went on to complete two bachelor’s degrees in early childhood and elementary education before earning a master’s degree in elementary education. Having built a solid reputation based off more than two decades in the profession, she now manages the business operations of KinderCare as an assistant manager. With an unwavering dedication and passion for education, she also finds time to teach toddlers. She maintains her expertise through her affiliations with the National Association for the Education of Young Children and ASCD. Looking forward, Ms. McLaughlin intends to explore opportunities working with autistic children.